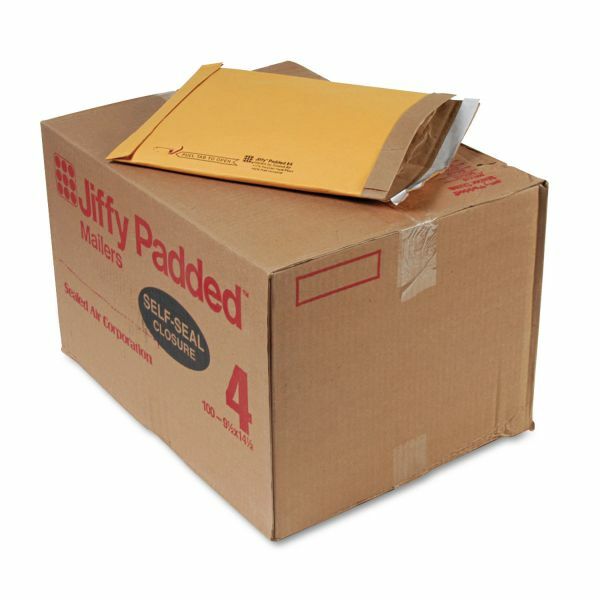 Sealed Air Jiffy Padded Self Seal Mailer, #4, 9 1/2 x 14 1/2, Natural Kraft, 100/Carton - Heavy-duty satin gold kraft padded mailer offers uniform inner batting to provide rugged, all-purpose protection. Padded mailers feature a self-seal closure. Construction contains 90 percent recycled paper fibers with 50 percent post-consumer material.